I spent 4 days exploring and making photographs of Mount Field National Park in Tasmania. 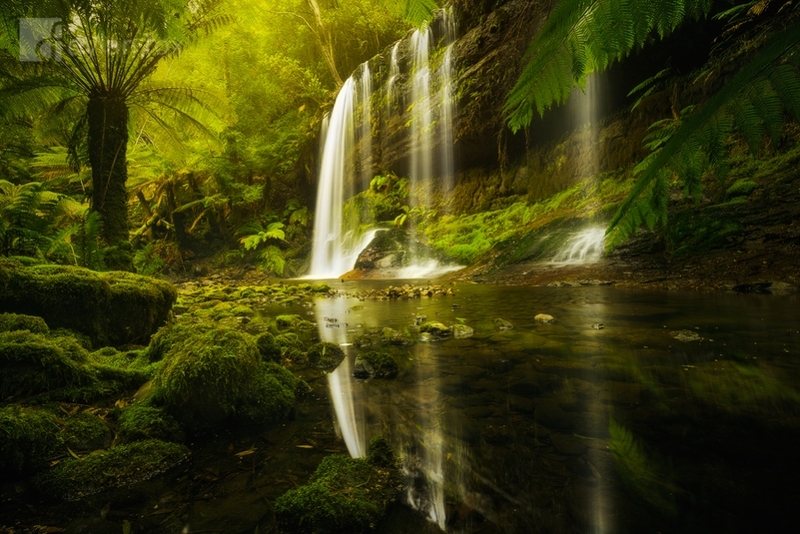 This stunning forest is home to a number of stunning scenes and in particular, two waterfalls. This photograph captures the spectacular Russell Falls from its side. Sitting here at the base of these massive falls under some fern trees was so peaceful. Places like this just allow you to sit by yourself and soak it all in. Forget about what is happening back in the suburbs and and simply become lost in natures beauty. Tasmania is a spectacular place with a variety of different scenery all found on the small island state. Secure your limited edition, Russell Falls photographic print, 'Wishing Well', by selecting your desired print size in the menu to the right.